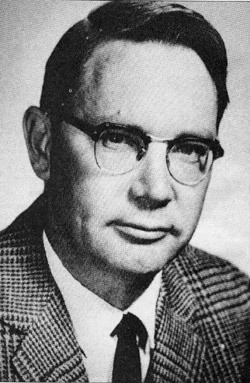 James McDonald was an atmospheric physicist at the University of Arizona, Tucson, and one of the few prominent scientists openly to support the extraterrestrial hypothesis of unidentified flying objects in the 1960s. He became closely involved with the subject in 1966 following a number of sightings in that year, including one over Tucson, and a visit to Hynek and others involved with Project Blue Book. A lecture he delivered in Washington, D.C., in which he argued that UFOs were "the greatest scientific problem of our times," received widespread media coverage. He was particularly scathing of the Condon Report, considering it "seriously deficient" and its conclusions "almost incredible." In 1971, together with Gordon Thayer, he presented details of two case studies which he considered completely unresolved. On June 13, 1971, he was found to have committed suicide in the desert near Tucson.